Precise integration with shutters, filter wheels, etc. 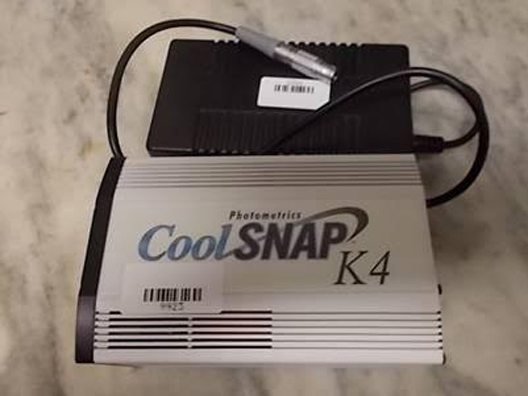 The Photometrics CoolSNAP HQ Monochrome camera is a fast, high-resolution digital camera system designed for low-light scientific and industrial applications. 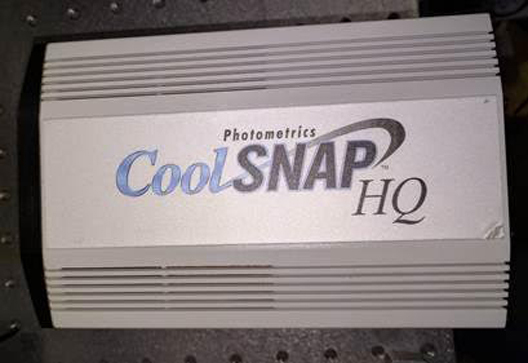 This cooled CCD camera system provides 12-bit digitization at both 10 MHz and 20 MHz. The fine pitch of the pixels, 6.45 x 6.45 microns, is ideally matched to the resolution of optical microscopes. Megapixel resolution and small pixels allow imagingof very fine detail, yet the pixels can be easily binned to improve sensitivity. New interline CCD technology provides high quantum efficiency, most notably in the near-infrared (NIR) portion of the spectrum. 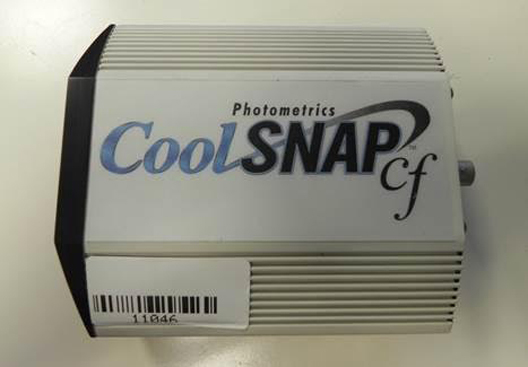 The ProgRes CFcool microscope camera from Jenoptik was developed for scientific applications. Its extreme sensitivity guarantees crystal-clear color images even in low light. The ProgRes CFcool guarantees images with a superior color reproduction and excellent image quality. This is enabled by Jenoptik color interpolation in combination with the extremely large, sensitive pixels and the14-bit color depth of the sensor. The microscope camera generates a fast live image. This makes it easier to focus and position your preparations. Active sensor cooling makes the ProgRes® CFcool ideal for low-noise, long-time exposures. It is also ideal for applications using fluorescent substances. This CCD research camera can also be combined with PROGRES GRYPHAX® microscope camera software. All operations can be observed immediately in the live image. 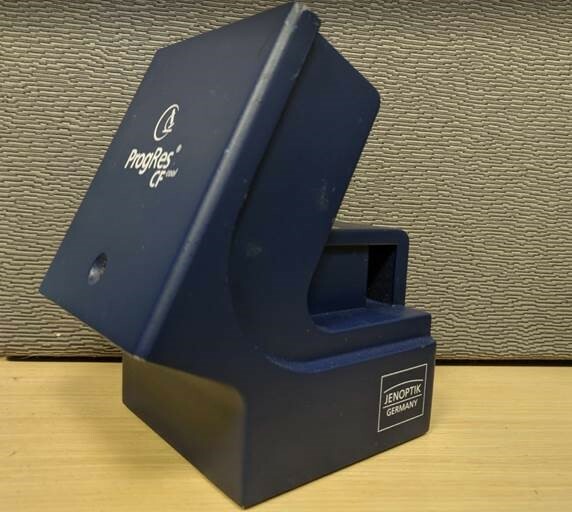 This enables you to work more efficient at your microscope workstation. Precise: True-color, low-noise images even in low-light conditions. Excellent image quality: True-color images thanks to Jenoptik color interpolation. Saves time: Easy positioning and focusing thanks to the fast live image. Reliable: Low-noise, long-time exposures guaranteed by optional cooling of the sensor. Flexible: The microscope camera is easy to use with the PROGRES GRYPHAX® software. Life sciences: Medicine, pathology, hematology, cytology, genetics, biology and chemistry. Quality control: Grain analysis, welded seam testing and controlling manufacturing processes. Material science: Mineralogy and metallography — for use in determining structures, quantitative and qualitative sample analyses and documentation. Forensics: Securing of evidence, document examination and forensic medicine. 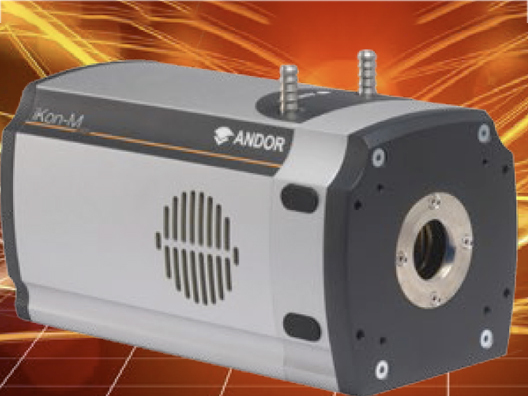 Whether it is used in materials analysis, biology or medicine – for modern routine applications a color camera needs to offer both high performance and flexibility. In complex processes, all the important steps have to be captured and analyzed quickly. Meaningful results require high-contrast images in which even the finest color gradations are visible. These are the specific requirements for which we have developed the AxioCam MRc: a high-performance color camera that offers you everything you need for simple digital documentation. And all at an astonishingly good price. Sensor size: Chip area 8.9 mm x 6.7 mm, equivalent 2/3"
High-resolution, quick-and-easy image capture and retrieval. 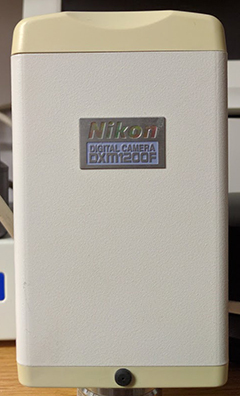 The DXM1200 utilizes Nikon's new IPS (Inter Pixel Stepping) high density imaging technology to produce true-to-life, extremely high quality images with up to approximately 12 million (3840 x 3072) output pixels. Digital Circuit Technology: High signal-to-noise (S/N) digital circuit technology allows image capture with exceptionally high sensitivity. Even clear imaging of fluorescence specimens is possible due to the low noise design combined with three levels of sensitivity and long integration times of up to 170 seconds. High Speed Data Transfer: High Speed data transfer to computer at 12 frames/second for easy on-screen focusing. ACT-1 (Automatic Camera Tamer) intuitive software enhances the photomicrographic process and allows on screen ergonomic viewing of a live image, last stored image and thumbnails of the last five images saved. Sensitivity setting: 3 levels selectable: Normal, High and Max. Exposure time: 1/12,000 to 170 sec. 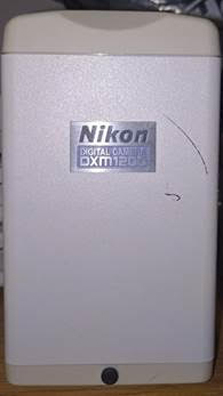 Thanks to Nikon-original low-noise design and a new CCD with a sensitivity more than twice that of conventional models, the DXM1200F can capture fluorescence images with excellent clarity and in high contrast. optimized Bose Einstein Condensation applications. 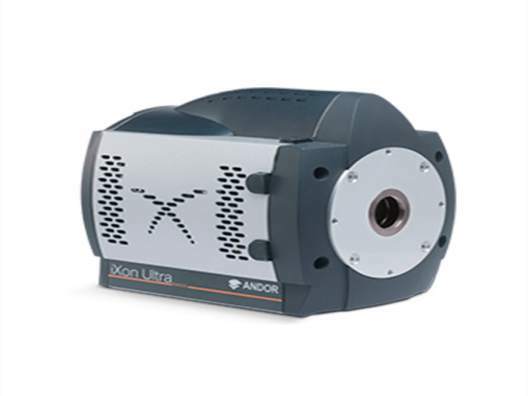 The highly innovative iXon Ultra 888 megapixel, back-illuminated EMCCD camera offers single photon sensitivity across a large field of view, at 26 fps. Building on a rich history of first to market innovation, the ‘supercharged’ iXon Ultra 888, represents a massive performance boost for the largest available EMCCD sensor, as well as the first USB 3.0 enabled EMCCD camera. The iXon Ultra 897 platform takes the popular back-illuminated 512 x 512 frame transfer sensor and overclocks readout to 17 MHz, pushing speed performance to an outstanding 56 fps (full frame), whilst maintaining single photon sensitivity and quantitative stability throughout. New Optically Centred Crop Mode unlocks unparalleled frame rate performance from centrally located ROIs, ideal for the particular speed and sensitivity requirements of super-resolution microscopy. 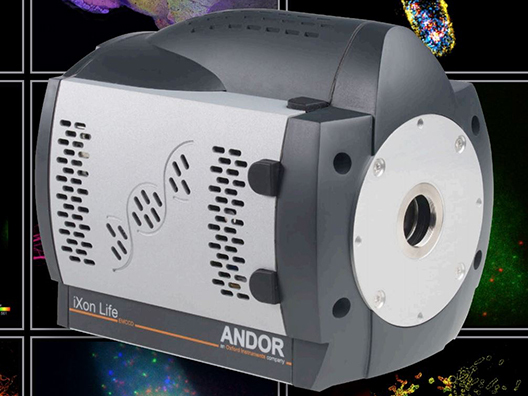 Andor’s new iXon Life EMCCD (Electron Multiplying CCD) platform is available exclusively for fluorescence microscopy applications and is engineered to deliver single photon sensitivity with absolutely unparalleled price/performance. The ideal detector to drive superlative performance from confocal spinning disk technology. Whilst affording superb confocality and low rates of phototoxicity, spinning disk experiments are inherently photon starved, by virtue of the photon rejection implicit to optical sectioning. The superior sensitivity of the iXon Life detector brings these low light images to life. The highly innovative, megapixel, camera offers single photon sensitivity across a large field of view, at 26 fps. Building on a rich history of first to market innovation, the ‘supercharged’ iXon Ultra 888, represents a massive performance boost for the largest available EMCCD sensor, as well as the first USB 3.0 enabled EMCCD camera. The iXon Ultra 888 has been fundamentally re-engineered to facilitate a 3x acceleration of the pixel readout speed to an unprecedented 30 MHz, whilst maintaining quantitative stability, propelling the full frame performance to video rate. Designed to be the most flexible yet easy to use EMCCD on the market, optimizable for a wide variety of application requirements in a single click via the OptAcquire™ feature. Crucially, the iXon brand carries an outstanding reputation within the industry for quality and reliability, brandishing an unparalleled track record of minimal field failures.